San Francisco's Northern California Cherry Blossom Festival will offer thousands all the aspects of Japanese culture that you can see without a passport in one of the country's three remaining Japantowns. 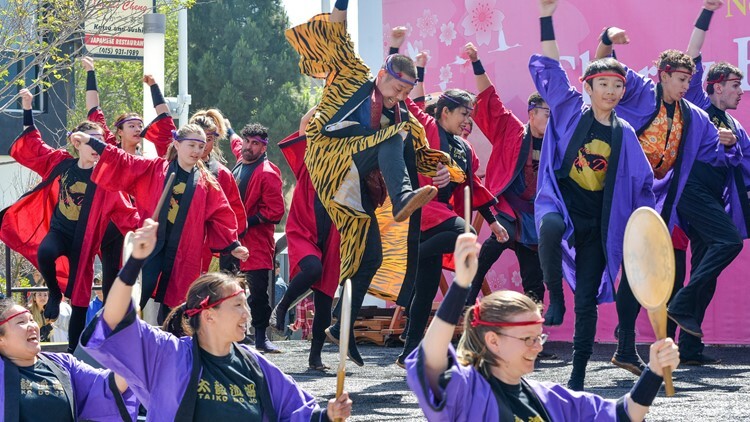 SAN FRANCISCO — A massive celebration of old and new Japanese culture is returning to San Francisco over two weekends with the Northern California Cherry Blossom Festival. 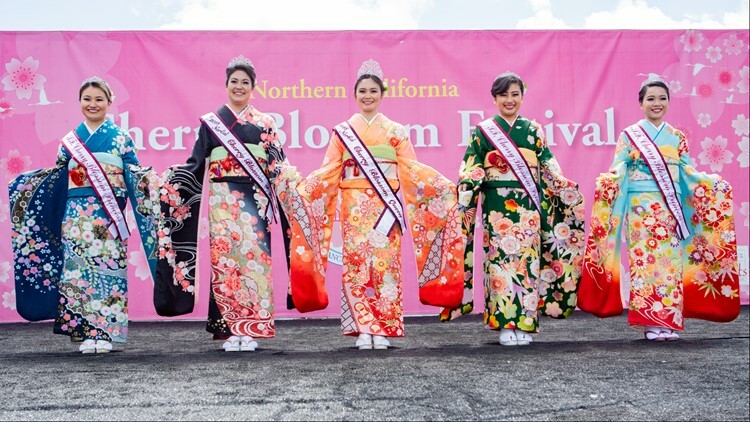 “You can see all aspects of Japanese culture without a passport,” said Greg Viloria, a co-chair with the Northern California Cherry Blossom Festival [NCCBF]. 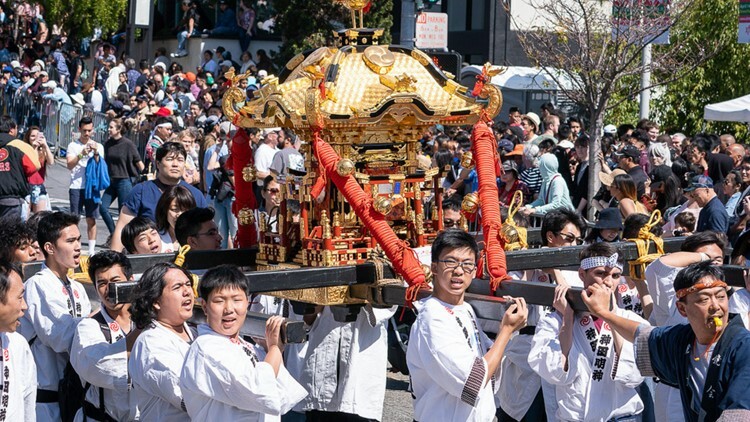 It’s a 52-year tradition and a celebration of Japanese culture that essentially shuts down six blocks of Japantown over two weekends. These celebrations combine cultural music, food, performances, arts & crafts, and even a celebration Japanese pop culture. San Francisco has one of the three remaining Japantowns in the country, and, since the festival started in 1968, it has served as a way to get Japanese culture out to a greater mass of people. When: April 13-14 and April 20-21. Events are scheduled to start around 10 a.m. Cost: The festival is free to the public. However, vendors, a beer garden and a film festival will all have varying prices. Where: The event is located in Japantown in San Francisco and shuts down about six blocks in the area. While there is a parking garage available, the general recommendation is to take public transportation. If planning a trip, click here to view transportation options. You can also view traffic conditions on the Waze map below. Whether you like anime and food or classic Japanese music, art, and traditions, the festival will have a distinct Japanese cultural experience in one place over two weekends. To view a full list with activity dates and times, click here. For a list on where to catch the musical performers, click here. If you’re visiting the Northern California Cherry Blossom Festival for the first time, here are some of the highlights you don’t want to miss. Sakura 360 – This is the NCCBF’s homage to the new culture coming out of Japan, highlighting J-pop culture with vendors, stage performances, and anime. A relatively new element this year is Cosplay on the Catwalk, where cosplayers can show off their cosplays in front of a crowd and compete for prizes. Food Area and Sapporo Beer Garden - This is where you'll find community nonprofits offering local cooking. Some of the must tries are the "Silly Spuds" and Takoyaki (octopus balls). They'll also have 150 donated kegs donated from Sapporo for their beer garden. Queen Program – The event serves as a leadership development opportunity for young women and showcases them as they highlight themselves and perform cultural activities. The Queen and her Court – In her full kimono, the queen and her court will walk around the festival on April 14 interacting with guests and offering photo opportunities. The kimono the queen wears is an annual donation from a Japanese Kimono company that was touched by the efforts of Japanese Americans who sent care packages to Japan after World War 2. Mikoshi Purification Ceremony – On April 20, there will be a purification ceremony for the Mikoshi. The shrine and sake barrels always close the Grand Parade the next day; it involves 140 to 160 people hoisting it up for the parade. This event is for people 18 and older and offers a chance to see the cultural blessing ceremony and, possibly, enjoy some sake. Grand Parade – April 21 will arguably be the biggest day of the festival. It's the day of the Grand Parade which draws crowds to watch the parade travel from the Civic Center and San Francisco City Hall into Japantown. Expect to see Taiko dojos playing, marching bands, cultural dances, and, of course, the hoisting of the Taru Mikoshi. “One blossom. One community. One heart.” The expression goes hand-in-hand with the festival's theme of "Kokoro," the Japanese word for heart. “This heart and inclusivity is really important to let the outer world know what our community is,” Viloria added. The 2019 festival is brought to the community by a volunteer staff and expects to bring in around 200,000 people for the event. If you stop by the event, pick up a program booklet guide at the information booth; it will help inform you about the artists, where the music is, and where to go. A PDF map is also available here. The canines go through an extensive training program and will be used to detect explosives from passengers or guests. Due to the new partnership, there will be law enforcement handlers with the dogs instead of TSA agents.